When there are people who consider UX just as a visual design, there are also people who do understand that UX discipline is embedded in testing and research. Are you in search of app development companies in USA? Looking for required strategies to come up with the best mobile app design solution ever? Well, you have come to the right page, as we are here to guide you through the right track. 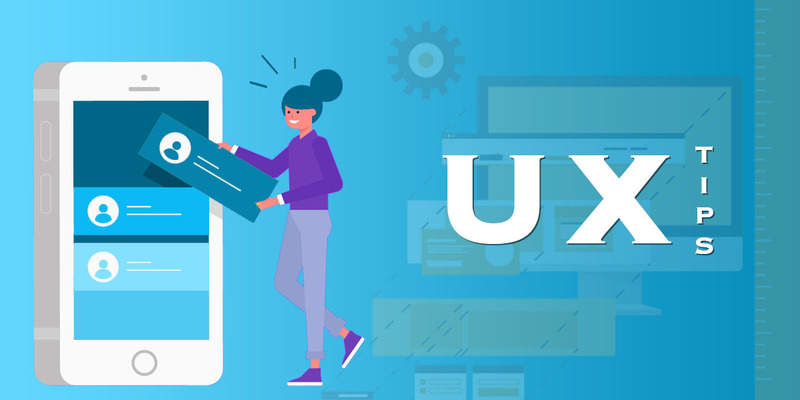 However, there is a certain misconception around the fact that how exactly UX works in the mobile app development process. This post is going to unleash quite a few common UX mistakes one should always avoid, so that maximum business is generated by him/her. Considering the fact that UX is an ongoing effort, you should never think about UX just as a spectrum to be concentrated on only in the beginning. Instead, to help your customers have a great experience, you should always emphasize on what the users have to say, what are their likes and dislikes and so on. Moreover, to stay on the safest side, you should always get their app tested with your core set of users. Confirming the fact that your product idea is well-received by the users is always a prior sign for success. The responsibility of UX can never be undertaken by a single person. An individual department or user should not be entrusted with the entire responsibility. It should be the accountability of the whole team to look into the same and work accordingly. Only a common goal or vision should direct you towards delivering an outstanding user-experience. Obtaining experience and expertise from the entire would always help you come up with the best thing ever. At the same time, not connecting with your users would again be a very foul mistake. The products you deliver should always resonate with the users’ needs. There are many products that tend to lack the essential meaning even after being aesthetically pleasing. So, why don’t you let the users feel they’re the part of your community only? In this way, you will get aware of the user requirements in detail and be able to deliver the best product ever. A good UX designer would never juggle up user preference with his/her personal preference. A perfect UX design can only be delivered when the product would be fabricated adhering to both the user’s as well as the designer’s bent. So, always be smart enough to get along with the specific needs and wants of the users. For providing them with the best experience, realizing their demands are more than important. Heavy content in the app is always a bad idea. Providing the users with a certain amount of content is undoubtedly appreciating, but too much of everything can always prove to be an inappropriate choice. There is just simply no need to cram your first page with unnecessary information. On the other hand, omitting important information from the app is also not a good idea. Thus, it’s always recommended that you develop an effective content strategy and apply the same in your mobile app. Last but not the least; coming up with a fancy and intricate design would be the worst act from your end. Make it simple and precise. Good design without unwanted complexities is always appreciated. Being one of the best mobile application development companies in USA, Panacea Infotech takes pride in offering an array of top-end mobile app solutions to a large scale of business industries. We are just a pro in adapting new technologies and make sure that you are provided with just what you are looking for. Our experienced team of developers, testers and designers are highly trained to cater to your specific business requirements, thereby giving you the best value for your money. You can connect with us any time and you will give our best endeavor to come to your best aid.